If you are looking for information on specifically on writing cover letters then please visit our specific Cover Letters section. Additionally if you are looking to put your CV together then check out this CV template which will get you off to a great start. We offer three tools to help you; our Free Guide, our Writing Service and our Templates. This letter format guide and template will show you exactly how to write a formal letter using examples and of the correct layout. The example formal letter below details the general layout that it should conform to. Each aspect is detailed more fully below the image. There are a number of conventions that should be adhered to and it is important that the overall structure is as clear and concise as possible and that you avoid the use of colloquialisms (informal language). Your address should be displayed in the top right-hand section. 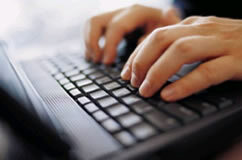 This will enable the person that you are writing to, to reply. This address should be displayed beneath your address on the left-hand side, remember to include the name of the person that you are writing to (if known). If you do not know the name of the person that you are writing to, use the greeting “Dear Sirs,”. In some circumstances it is useful to find a name, especially if you are making a request as this will show that you have done your homework and you are more likely to receive a response. This should be followed by the surname only (not the first name). If you do not know the name of the person, conclude with “Yours faithfully,”. If you know the name of the person, conclude with “Yours sincerely,”. Sign your name, then print it underneath the signature. If it is potentially unclear what your title would be then include this in brackets next to your printed name. In modern society there is a trend to use a shorthand writing style, for instance replacing the word “you” with “u” or replacing the word “weekend” with “wkend”, there are many other examples. This casual approach and informal writing style can easily be transferred, sometimes subconsciously, when a more formal style is required. The introductory paragraph should be concise and should clearly state the purpose, whether it is to lodge a complaint, make an enquiry or to request something. The main body should clearly state the points that you want to make. As a general rule it is a good idea to keep this as to the point as possible to ensure that the recipient remains engaged. A longer main body may be more appropriate when making a complaint as you may require to add more detail in order to convey the importance of what you are putting across. The concluding paragraph should outline what action you would like the recipient to take: to make a refund, to send you information etc. A letter of complaint is sent to an individual or organisation in response to receiving poor service or a product that is not fit for purpose. An example of a letter of complaint would be a one sent to a tour operator who has provided a bad service while you have been on holiday. This does not necessarily need to be concise as it is important that you detail your arguments and points as much as possible. A letter of enquiry makes an approach to an individual or organisation either speculatively or in response to printed public domain material whereby you are requesting some information. 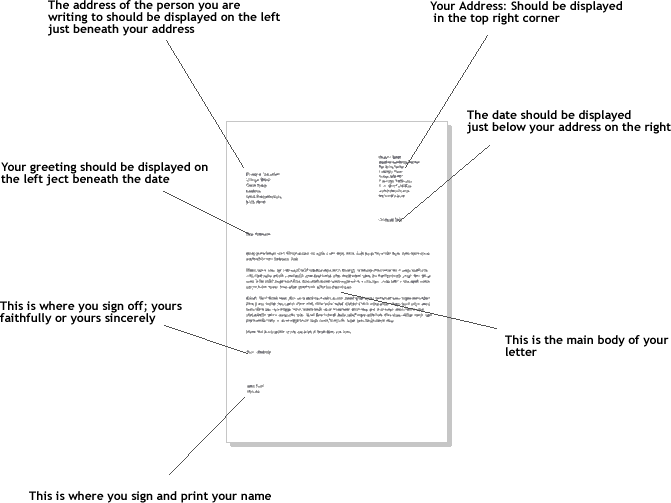 An example of a letter of enquiry would be one sent to a company requesting a copy of their catalogue or brochure. By their very nature these are short and to the point, it is usually beneficial to include other methods of contact in case the company needs to get in touch with you via other means. A letter of request is similar to when you make an enquiry but specifically asks an individual or organisation to take an action. An example of a letter of request would be one sent to request sponsorship for a charity activity. It is important to stress the importance of being clear and concise with this format as the recipient must remain engaged and interested in what you have to say. We have a great deal of experience with formal letter writing and as such are able to offer a great value service. If you feel that after reading our free guide that you would still like some assistance with putting it together then please contact us. We are able to offer templates to suit all formats. Our formal or business letter templates are completely free and are the ideal solution to enable you to easily put together your own formal letter.